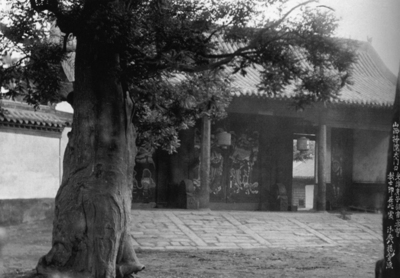 Yuxian's Yamen, West Gate, the location of the 1900 Taiyuan Incident. Governor's Yamen, Taiyuan. B/W Photo.